Larsen & Toubro and two other international consortia with HCCBSE -12.98 % and Soma Engineering as partners have bid for two packages of the government’s ambitious 22.9-km project that would connect Marine lines in south Mumbai to Kandivli in north through a coastal road, according to sources. 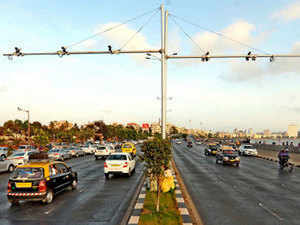 The Municipal Corporation of Greater Mumbai is the nodal agency for three packages of the Rs 15,000 crore project, which also includes the Bandra-Versova sea link that is being handled by Maharashtra State Road Development Corporation (MSRDC). The project, which has been delayed so far, is likely to take off in the second half of the year. “Once we have analysed the bids, it will go to the standing committee. By end-April or May first week, we should be able to award the project. All approvals are in case and the work can start right after that,” Municipal Commissioner Ajoy Mehta told ET. BMC had invited bids from pre-qualified players by March 15 for package 1,2 and 4. While the first two packages received three bids each, the deadline for the fourth package has been extended to March 22 after some bidders complained of technical problems in uploading documents during the e-bidding. Mehta said that while there was a pre-qualification round before the bids, the BMC has asked bidders for some additional documents for qualification. The bid has two more components-- designs and price. Package One, which will connect Priyadarshini Park to Baroda Palace, received bids from Larsen & Toubro, consortium of China Gezhouba Group Company and Soma Engineering, and consortium of HCC and Hyundai Development Corporation. Package Two, that would connect Baroda Palace to Worli End of the Bandra Worli Sea Link also received bids from the same three parties. Reliance Infrastructure, which was a pre-qualified for both packages, did not bid. The company, along with Italy’s Astaldi has emerged lowest bidder for the construction of the Bandra-Versova Sea Link by quoting 30% higher than the estimated price. The Package Four, the deadline for which has been deferred, has four pre-qualified entities-- Dogus – Reliance – NMDC consortium, China Gezuhouba Group Company, ITD Cementation & Hyundai Engineering & Construction, L&T, and consortium of ITD Cementation and Hyundai Engineering & Construction. This package is for connecting Princess Street Flyover to Priyadarshini Park. Since the project is along the coast, Indian government is closely scrutinising proposals from Chinese companies. China Harbour Engineering Company, which was bidding for Bandra-Versova sea link along with Soma Enterprises, is believed to have withdrawn from the bid on security concerns. China Gezhouba Group Co is yet to get security clearance, while its partner has recently undergone debt restructuring.